Rajah Banerjee was invited by Slow Food Italy and the Comitee "Adopt a Terrace" for a Tea degustation and the lecture on "The Value of the Soil", regarding the 30 years experience of practices for sustainable soil managment. 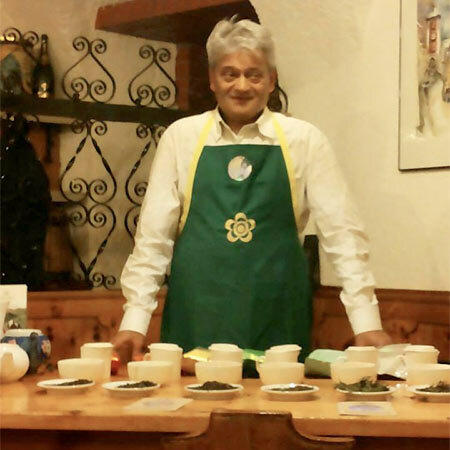 Rajah Banerjee was invited by Slow Food Italy, Valsugana Lagorai and Primiero, and the Comitee "Adopt a Terrace" to give Makaibari Tea degustation and the lecture "The Value of the Soil", regarding the experience of 30 years of orgainc-biodynamic-permaculture practices for sustainable soil managment. We thanks all Italian new and old friends, who organized and took part to the amazing iniziative for the uplifting of our common global awerness and responsibility!